In this work, equilibrium solubility of CO2 in aqueous blends of different amines is examined. The amines used are methyldiethanolamine (MDEA), N,N-dimethylaminoethanol (DMAE), N,N-diethylaminoethanol (DEAE), 2-(2-aminoethylamino)ethanol (AEEA), and 3-methylamino propylamine (MAPA). New equilibrium solubility data for CO2 in aqueous solutions of DMAE + MAPA, DMAE + AEEA, MDEA + MAPA, MDEA + AEEA, DEAE + MAPA and DEAE + AEEA over a range of low pressures are obtained. Each of the solutions contains 40 wt% of a tertiary amine (DMAE, MDEA, DEAE) and 5 wt% of a primary/secondary amine (MAPA, AEEA). The experimental temperature was set to 313.15 K and the measured CO2 loading was in the range of 0.274–4.563 (mol CO2 per kg of solution). 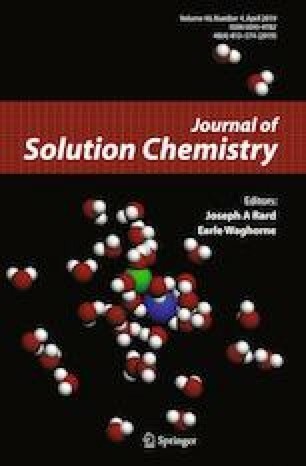 In order to make a better comparison, viscosities and densities of the amine solutions were also measured at 303.15–353.15 K. Experiments show that the aqueous DMAE + MAPA blend has the highest absorption capacity, and at the same time, its viscosity and density are in a desirable range. The authors greatly appreciate the financial support for this research provided by the Research Institute of Petroleum Industries (RIPI).